The Academy Hotel offers brides world-class hospitality at the foot of the Colorado Rockies in Colorado Springs. 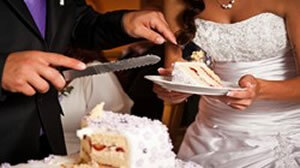 A perfect venue for your Colorado Springs wedding and wedding reception. From the moment you arrive, the lush tropical plants and splashing fountains of the Atrium greet you and your guests. Romantic and elegant, the Academy Hotel is centrally located too!